Spend two hours with Nia Faculty Trainer and Equestrian Educator, Randee Fox learning about what happens in a Nia and Horses two-day training. 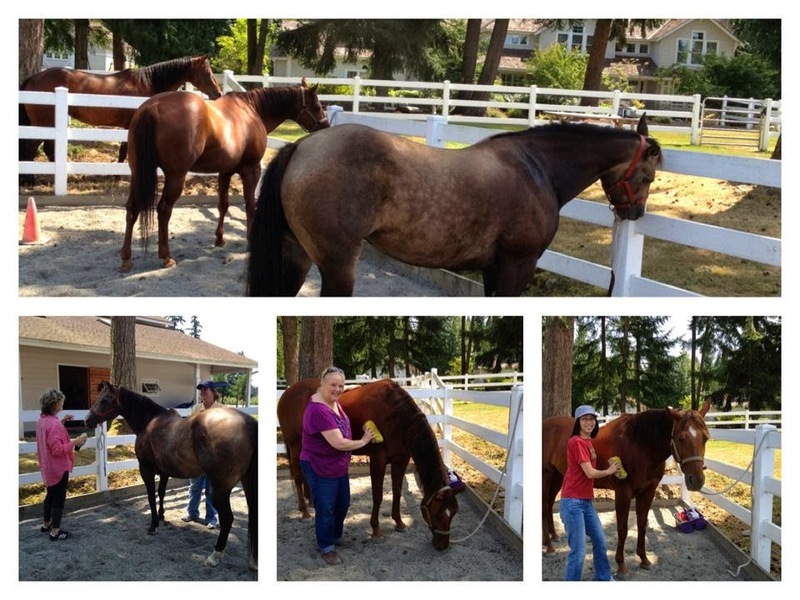 Meet the horses, do a little grooming, ask questions and finally witness an inspiring demonstration of dancing with a horse with music. $25.00 per person. Nia, Chakras and Art: A expressive, relaxing and playful day - bursting with movement and art! 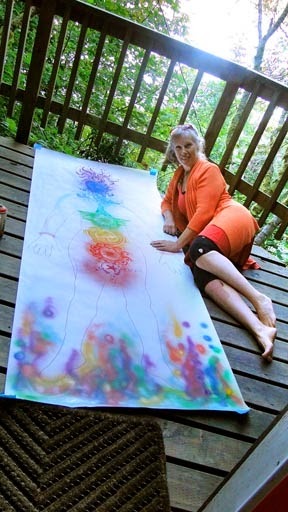 Spend 6 hours with Nia Faculty Trainer and professional artist/illustrator/arts educator, Randee Fox in a PlayShop designed to explore and deepen your relationship with your seven Chakra Energy Centers. Through play, introspection and creativity we will dance a full and energetic Nia routine in our Chakras. Then we will enjoy a four-hour 'paint out' together as we paint, draw and collage our life sized our chakra masterpieces together. High quality 100 percent rag paper and professional art supplies will be provided. $150 per person. 2.5 hour PlayShop starts with an hour of Nia's FreeDance Class with the incredible music of the routine. Then we learn the foundational moves of the routine together for 30 minutes and enjoy an hour of dancing the energetic and fun routine together - setting your body, mind, emotions and spirit free! $35 per person. Creative Charisma: Unleash your unique animal magnetism: 4-hour Nia PlayShop designed by Nia Faculty Trainers, Randee Fox and Kelle Rae Oien to help you shake it up and break it up, let go and re-create yourself in any moment using the practice and principles of Nia. Learn to uncover and unleash your own animal magnetism through chakra energy awareness, sensation and play. Through playful movement games, self-discovery, introspection and expression you will have the opportunity to get out of your head and into your body. $100 per person. © 2019 Randee S. Fox - All Rights Reserved. Ethereal theme. Powered by Blogger.